Below you fill find all funeral homes and cemeteries in or near Dodge City. Suburbs of Dodge City: Fort Dodge. 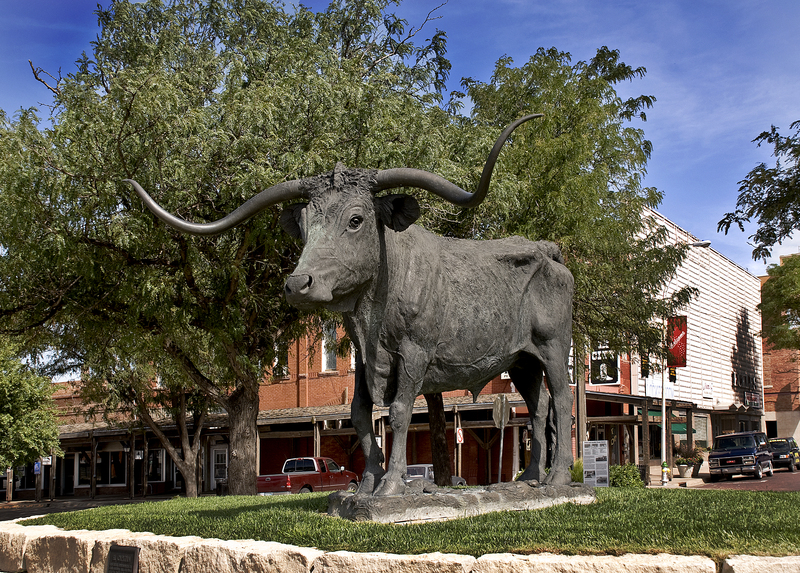 Dodge City is also known as: Ford County / Dodge City city. Their current mayor is Mayor Brian Delzeit. Zip codes in the city: 67801, 67843. Ford County funeral flowers can be purchased from one of the local funeral shops we partner with. Having served the community for over 70 years, we have been providing quality funerals for families throughout western Kansas. We have nurtured a sense of trust and confidence by providing qualified and dignified service during trying times. Swaim Funeral Home has been serving Southwest Kansas for over 70 years. We have locations in Dodge City, Cimarron, Montezuma, and Sublette. Swaim Funeral Home takes great pride in being a family owned business. Some of the notable people born here have been: Paul J. Morrison (lawyer and attorneys in the united states), David A. R. White (actor and film producer), Robert Delpino (american football player), Mitch Brian (screenwriter and film producer), Joshua Carmichael (actor), , Nick Holmes (actor), and Dustin Ferguson (film director and film editor). It was written on March 17th, 2019 that Harold Russell Hultquist died in Omaha, Nebraska. Hultquist was 92 years old and was born in Dodge City, KS. Send flowers to express your sorrow and honor Harold Russell's life. It was reported by Hutchinson News on March 14th, 2019 that Dianna Rae Samples (Wylie) passed on in Dodge City, Kansas. Ms. Samples was 71 years old. Send flowers to express your sympathy and honor Dianna Rae's life. It was revealed by Hutchinson News on March 12th, 2019 that Alice Lee Latas (Vanwinkle) died in Dodge City, Kansas. Ms. Latas was 87 years old. Send flowers to share your condolences and honor Alice Lee's life. It was disclosed by Hutchinson News on March 12th, 2019 that Mark Alan McAllister passed away in Dodge City, Kansas. McAllister was 62 years old. Send flowers to express your sympathy and honor Mark Alan's life. It was noted by Hutchinson News on March 4th, 2019 that Lois Nadine Higley perished in Dodge City, Kansas. Higley was 92 years old. Send flowers to share your condolences and honor Lois Nadine's life. It was reported by Hutchinson News on February 21st, 2019 that Edith M Hall (Helfrich) perished in Dodge City, Kansas. Ms. Hall was 83 years old. Send flowers to express your sorrow and honor Edith M's life. It was reported by Hutchinson News on February 13th, 2019 that Gilbert "Gil" Ackerman passed away in Dodge City, Kansas. Ackerman was 74 years old. Send flowers to express your sorrow and honor Gilbert "Gil"'s life. It was noted by Hutchinson News on February 11th, 2019 that Sandra Sue Burton (Miller) passed away in Dodge City, Kansas. Ms. Burton was 78 years old. Send flowers to share your condolences and honor Sandra Sue's life. It was reported by Chicago Tribune on February 8th, 2019 that David E Dr Drehmer passed on in Downers Grove, Illinois. Drehmer was 69 years old and was born in Dodge City, KS. Send flowers to express your sympathy and honor David E Dr's life. It was written by Hutchinson News on February 6th, 2019 that Kayla Ann Beachy (Snovelle) passed away in Dodge City, Kansas. Ms. Beachy was 27 years old. Send flowers to share your condolences and honor Kayla Ann's life. :'For the 1939 western movie, see Dodge City (1939 film)'. . . . . The official website for the city of Dodge City is http://www.DodgeCity.org. Burkhart-Ziegler Funeral Chapel provides complete funeral services to the local community. Listing all funeral homes in Dodge City, Kansas so you can easily send flowers to any location (same day delivery) or find any funeral service. We work with local florists and flower shops to offer same day delivery. You will find budget sympathy flowers in Dodge City here. Our funeral flowers are cheap in price but not in value.